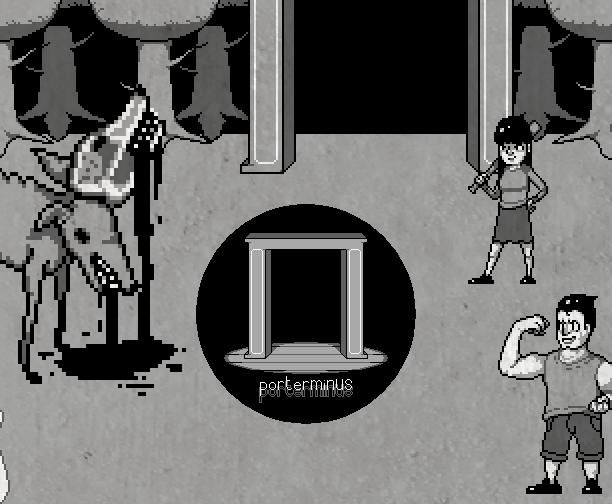 Porterminus is a spooky RPG made by supajackle. It was originally released in March of 2013. It follows the story of a girl named Julie, her boyfriend Donnie, and a mysterious cat. Warning: Although the graphics are all pixel art, it has sort of intense body horror and gore, please keep that in mind before deciding to play. It was made using RPG Maker VX Ace, so to play you need the Run Time Package, or RTP. Really neat stuff, very enjoyable. 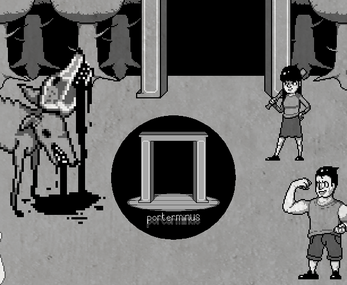 Great art style and definitely felt the Junji Ito inspiration in the game too. I would say that the encounters were a little too frequent for me, but that besides it was really nicely done. Super job!